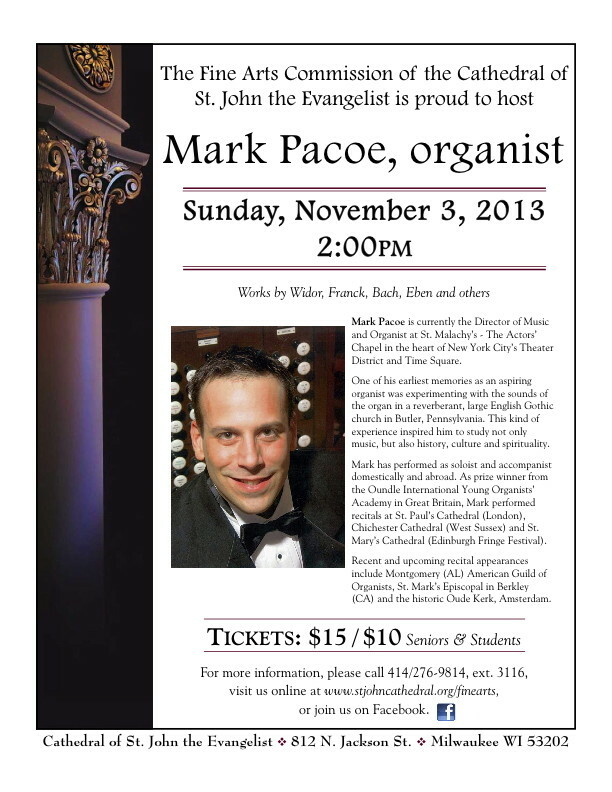 We are happy to announce our upcoming concert by Mark Pacoe, organist on Sunday, November 3, 2013 at 2:00pm. Tickets are $15 / $10 Seniors & Students. Tickets will be available for purchase at the next Wednesday Concert on October 16th.